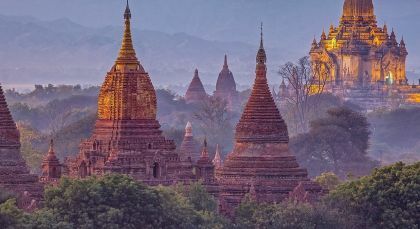 Myanmar tours don’t get much better than this! 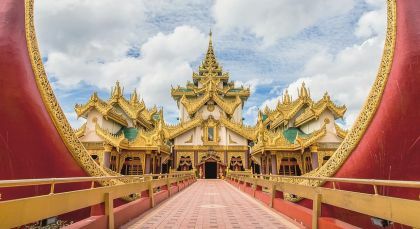 Experience a leisurely visit of this less-frequented country, and discover beautiful pagodas, spiritual caves, and traditional markets. You can even enjoy the odd boat or bamboo raft ride! End up with a few days of bliss relaxing on Myanmar’s pure white sands. Journey into Yangon’s past and gain glimpses of local life aboard the Circle Train. The historical train ride lasts two to three hours as you loop around the city outskirts. Depart from the grand Yangon Central Train Station, which fuses Burmeses architecture with functional British colonial elements. Voyage through the changing urban to rural scenery. In the city you’ll see street food hawkers selling paan (betel nut) and sweet coconut-condensed milk buns, vendors balancing plastic barrels on their head, and children playing. The countryside offers a more tranquil scene with watercress fields, ponds, farms and stilted bamboo houses. Witness how local villagers live and work. Before returning downtown stop at Insein, the infamous prison that holds Burmese political dissidents and once housed Nobel Peace Prize winner and democracy activist Aung San Suu Kyi. Venture into the Garden City of the East, with its evergreen and cool tropical trees, shady parks and lovely lakes. Start your day in the colonial district at the heart of the city, where you can discover the 2,000 year old Sule Pagoda, which holds one of Buddha’s hairs. Explore the major cobblestoned bazaar of Bogyoke Aung San Market, where you can practice your bargaining skills. Witness Royal Family treasures, including the pure gold and intricately carved Royal Lion Throne, at the National Museum. 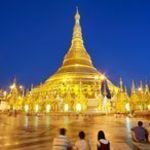 The highlight of Yangon is the stunning Shwedagon Pagoda! Built over 2,500 years ago and towering over the city’s skyline, you can breathe in a most enchanting and spiritual sunset. Please note that shoes must be removed during your temple visits. Cruise out to the largest freshwater lake in Myanmar by boat or canoe. Marvel at the exquisite floating gardens and watch fishermen haul in the day’s catch at quaint fishing villages located on beautiful Inle Lake. Visit the imposing Phaung Daw U Pagoda to see the famous five gold-plated Buddha statues. Your tour of the lake also includes excursions to colorful traditional markets and workshops where you will find beautiful local handicrafts, and to villages where you can observe the daily life on the lake. Kindly note that the boats stop running at 5pm. 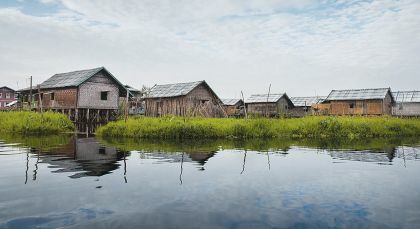 Venture to the unique village of Indein, located on the western bank of Inle Lake. Enter this small and charming destination through a narrow winding creek framed by dense jungle. Once there, you can explore a cluster of incredibly atmospheric pagoda ruins that overlook the lake, including Nyaung Ohak, which houses crumbling stupas with ornate stucco carvings, and Shwe Inn Thein Pagoda, a complex of 1054 weather-worn temples. The temples resemble the Khmer style and date back to the 17th and 18th century Shan period. Witness an enshrined Buddha image within a whitewashed stupa on a hill summit. Your rural experience is complete with scenes of farmers ploughing paddy fields with the aid of water buffaloes. To respect local customs, please dress conservatively. Kindly note that footwear is not permitted within the main temple. The small town of Pindaya is well-known for its picturesque surroundings, but it’s more famous for its limestone caves. Unearth the fascinating and somewhat ethereal 300 year old caves of Pindaya, that contain an extraordinary number of Buddha images – 8,000 to be precise! 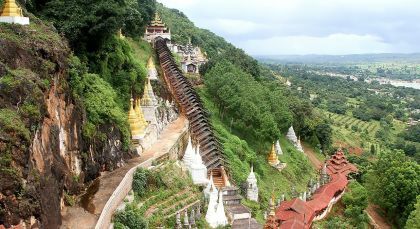 It’s here that you can observe the pagoda of Shwe U Min (Golden Cave), which is thought to date back to the 4th century and repaired in the 12th century. You can enjoy short treks of the surrounding villages of Danu, Pa-O, Palaung and Taung-Yo, where you can breathe in the local culture. If you’re lucky, you can visit on a market day where all the locals get together to buy and sell their colorful wares. This unique off-the-beaten path destination awaits! Embark on a regal adventure as you explore Mya Nan San Kyaw, the Royal Palace. Crafted from majestic teak wood and situated in the center of a large citadel (fort), this is the last palace built by Burmese Royals. Expect epic tales when you visit Kuthodaw Pagoda, a Buddhist stupa that contains the world’s largest book. Find tranquility at Shwenandaw Monastery, a traditional 19th century wooden Buddhist monastery and historical retreat. Discover Myanmar’s most revered image of Buddha at Mahamuni Buddha Pagoda, a temple and important pilgrimage site for Burmese Buddhists. At sunset, embrace the scenic views from the calming peak of Mandalay Hill. Explore the royal cities of Amarapura, Sagaing and Ava on this fabulous day excursion from Mandalay. Within Amarapura, known as the City of Immortality, you can immerse yourself in Buddhist culture alongside the monks of Mahagandhayon monastery. In Sagaing, you’ll get a deeper sense of daily spiritual life with visits to more Buddhist monasteries. Enjoy dusk back in Amarapura where you can take a picturesque walk along the U Bein Bridge, the world’s longest teakwood bridge. Set amidst a beautiful backdrop, the sunsets here make for an enchanting end to the day. 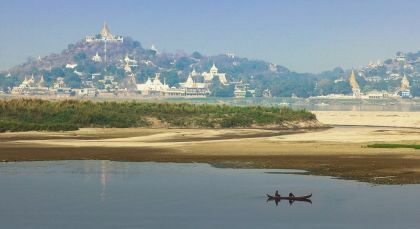 The Ayeyarwady has been and still remains the lifeline of Myanmar. Visit the largest temple complex in Southeast Asia! Bagan is an architectural delight with its numerous pagodas and beautiful temples, including the famous Buddhist Ananda Temple that was built in 1105 AD. Stroll through the unique and colorful Nyaung U market and visit the imposing Shwezigon Pagoda surrounded by numerous shrines. Witness the stunning wall paintings inside the Kupyaukyi Temple and discover an astounding collection of artifacts inside the Bagan Museum. 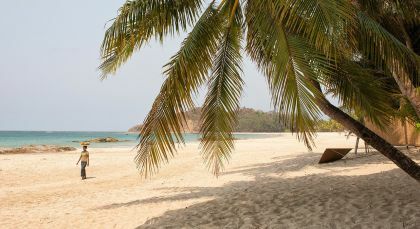 Ngapali Beach is considered one of Southeast Asia’s most beautiful beaches. We really enjoyed the country of Myanmar, its beautiful landscape, and people.